The New iPhones Start at $749. Here Are All of the Different Prices. While the learning about color options, battery life, and release dates will probably get you more hyped, the most important news to come out of Apple's big 2018 iPhone announcement event on Wednesday is the prices. Getting a mauve iPhone would be cool and all, but potential colors won't matter much if you have to take on a second mortgage to afford one. 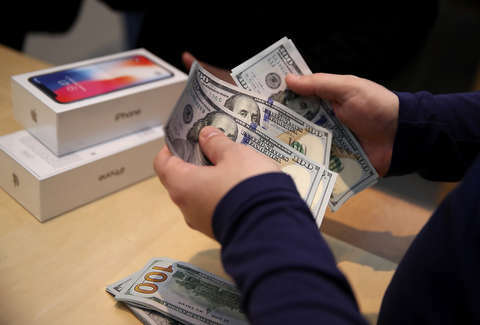 After the iPhone X's big, $1,000 price tag on last year, it's understandable if you were a little worried. But good news: You'll probably be experiencing slightly less sticker shock if you decide to upgrade your phone this year. Check back for more updates on everything you need to know about Apple’s 2018 iPhone announcements, including the differences between all three new iPhones, the new color options, how it stacks up to last year's models, when you can pre-order them, the new iPhone sizes, when iOS 12 will be released and more.